Even before the massive hurricane struck Texas, companies were opening their purse strings to assist those in the deadly storm’s path. Six U-Haul companies across Texas preemptively offered 30 days of free self-storage and U-Box container usage to residents who stand to be impacted by Hurricane Harvey. The tropical storm was upgraded to a hurricane on Thursday, and prompted millions to prepare for disaster and created a need for secure and dry self-storage options where people can store their possessions as the storm approached, as well as in its aftermath. The Home Depot has been working around the clock to support coastal communities impacted by the storm. 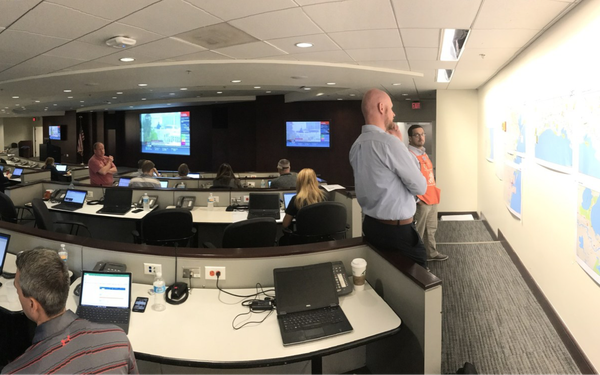 On Saturday, The Home Depot activated its Disaster Response Command Center at its Store Support Center in Atlanta. There, the company's merchandising, operations and supply-chain teams are working to continuously move truckloads of product to stores on the Texas coast. The company’s foundation donated $300,000 to the Red Cross to help with immediate relief efforts. Lowe's made a $500,000 contribution to American Red Cross Disaster Relief to help provide food, shelter and supplies to those impacted by Harvey and other crises. At Lowe's stores in Texas, customers can also make a donation to the Red Cross. PepsiCo and the PepsiCo Foundation donated $1 million to the American Red Cross to provide vital resources to hurricane victims across Texas and other impacted communities. The company will also provide supplies, such as Aquafina purified drinking water, to impacted communities. United Airlines will provide up to three million bonus miles to customers who contribute to designated relief organizations. It will match the first $100,000 raised to support those in need. MileagePlus members who give to the American Red Cross, AmeriCares, Airlink or Operation USA through United's fundraising page can receive up to 1,000 bonus miles by entering their MileagePlus number at the time of their donation. Starbucks has activated its donation capabilities in its U.S. company-operated stores so that any customer can come in and provide a donation to the American Red Cross right at the register to help those impacted. Starbucks Foundation also donated an initial $250,000 to the American Red Cross and are working through ways we can further assist. Western Union’s foundation announced a $30,000 donation to the Red Cross on Sunday and will also match "qualifying" contributions from its agents. The money transfer provider will also provide free transfers when users send funds to Texas from the U.S.
MoneyGram announced zero-fee transactions for Red Cross donations following Hurricane Harvey. The fee waiver applies to all donations up to $249.99 per transaction through October 1. Funds will help support the Red Cross's efforts to provide shelter, supplies and technical assistance to those in need. In addition to the fee waiver for Red Cross donations, the MoneyGram Foundation is providing support through donations made to disaster relief and emergency response efforts initiated by AmeriCares and Save the Children USA. Caterpillar Foundation donated $300,000 to American Red Cross Relief efforts. The company and its dealers are also making generators available for power needs. Other companies that have announced donations thus far include Exxon Mobil, which is donating $500,000 to Red Cross organizations along the U.S. Gulf Coast to aid with relief efforts. Google is making a $250,000 Google.org grant to the Red Cross and matching employee donations up to $250,000. The Humana Foundation, the philanthropic arm of health insurance company Humana, gave a $250,000 immediate grant to the Red Cross. Walmart and the Walmart Foundation said they would give cash and product donations of at least $1 million to organizations like the Red Cross, the Salvation Army and Convoy of Hope. Tourism Cares encourages both companies and individuals who are donating to keep the longer-term recovery in mind, as well as tourism itself. The nonprofit is dedicated to advancing the travel and tourism industry’s social impact.